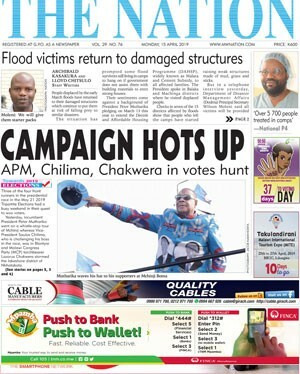 As the country gears up for the May 2019 Tripartite Elections, political euphoria is slowly but surely building up. Everywhere one turns, the talk is about politics and politicians. While others are readying themselves to take up various positions in their respective parties, there are also others within these parties readying themselves to unleash terror on their opponents and critics. Two very unfortunate incidences in the past weeks must make any peace-loving Malawian think if this is the type of politics and Malawi they want. The torching of vehicles belonging to United Transformation Movement (UTM) in Mangochi must collectively be condemned by every Malawian regardless of the political colours one wears, and no-one should allow being used as a pawn in the elite political leaders’ games, quest to achieve their self-interests. Again, the violence in Dedza during the Malawi Congress Party (MCP) primary elections is a dent on the party and democracy. There is always a better way of resolving misunderstandings, violence is not one of them. With the political hype building up almost nine months before the elections, Malawians need to be less emotive about politics because the players in the game are amoral. In politics, they say, there are no permanent friends, nor permanent enemies. There is only permanent interest. Politicians are birds of a feather, flocking together in order to preserve their self-interests. All politicians are a part of a closed circle of elites who do not want any new entrant in their privileged rank. This being so, do not allow people who have little regard for your interests divide you with their shenanigans. Why are the ordinary citizens enemies of themselves over political support? Why do you want to die for politicians whose children are in schools abroad and who, in spite of their political differences, dine and wine together?